Open an account (FREE!) and create your own e-voting ballot. See how EASY it is to create online ballots and how your ballot will appear to your members. ezVote is secure. Our online voting system of user verification assures compliance with the rules and guarantees accurate results. ezVote is fast. Log in, view your candidates/options, and cast your ballot right from your computer or mobile device. ezVote is EASY! 0 We can help you set up your election or survey, and your results are calculated in real time. "How to Conduct a Successful Election"
Practical advice for executive directors and administrators for paperless elections, voting online, and managing voter registration. Get your free copy now. Registration is optional. Safe. Fast. Easy. That's ezVote. Managing an organization is hard work. Managing an election should be easy. 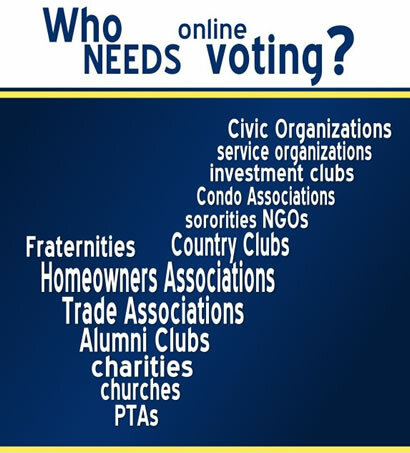 ezVote is a trusted provider of secure online voting solutions for membership organizations, clubs, and businesses. From single question surveys to fully managed elections, ezVote gives organizations the resources they need to conduct better research and elect their leaders with confidence. ezVote's proprietary framework was developed by an information technology and network security expert. Ballots are linked directly to unique credentials provided by your members, ensuring the integrity of your election by guaranteeing one ballot per voter. ezVote records ballots and tallies votes as they are cast. Our election dashboard gives administrators access to real time metrics that make it simple to track voter participation and analyze results. Our digital ballots are easy to read and completely mobile adaptive. Voters can cast their ballots from any device with a secure internet connection. The most trusted and accurate way to elect officers is by secret ballot, but just how secret is your secret ballot? The larger the organization, the more expensive and vulnerable to fraud paper ballots become. Trade and professional associations across the country trust ezVote to eliminate waste, reduce costs, and provide immediate, reliable election results. And ezVote offers the option of authenticating users through our servers or your own, providing your members with the maxiumum level of protection against internet security threats. For community groups like homeowners associations (HOA), country clubs, and parent teacher associations, the need for transparency and fairness in a vote can outweigh a desire for convenience. Fortunately, ezVote offers both the ease of electronic voting and the integrity of a third party managed election. Secure online elections are virtually tamper-proof, giving members confidence in the accuracy of the results. And with election packages starting at just $99 for up to 100 voters, ezVote has an online voting solution for every budget. Participation in membership organizations has declined steadily over the last two decades. But organizations across America are embracing technology as a means to reverse this decline. 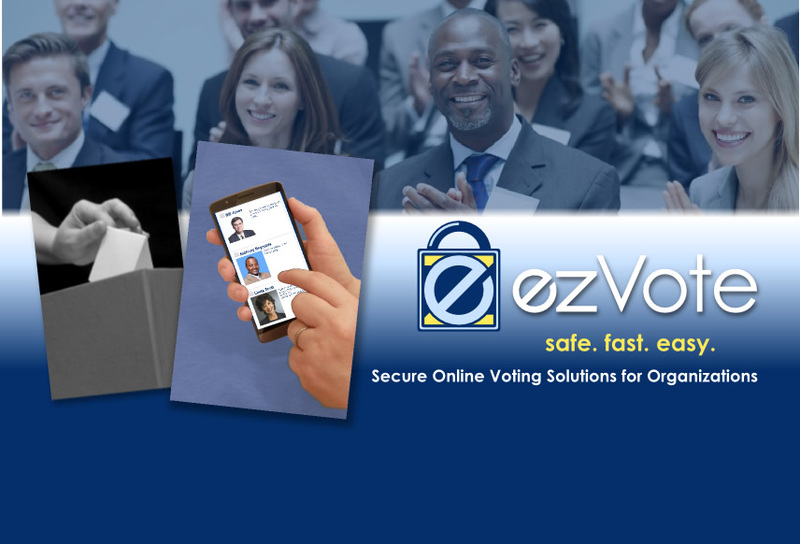 ezVote gives clubs and associations effective tools for engaging their members. Email notifications, digital ballots, and one-touch voting from desktop or mobile make it easier than ever to get members involved. Online voting translates to higher voter participation, fewer missed votes, and more confidence in the democratic process. And ezVote interfaces with social media applications like Facebook and Twitter, so voters can promote their involvement in your election with a single click upon casting their ballots. Member participation goes beyond just voting in officer elections. 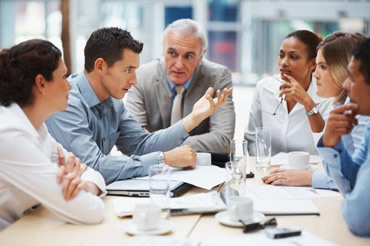 Strong organizations reach out and take the pulse of their membership several times a year. Annual subscription programs from ezVote allow you to conduct in-depth opinion research on a limitless range of topics, from amendments to organizational bylaws to the menu for the annual HOA picnic. You get unlimited elections, unlimited polls, unlimited surveys for a flat annual fee. ezVote subscription packages are customized to your organization. Contact us directly, answer a few questions about your voting membership, and we'll tailor a plan to suit your needs. In 2012, founder and serial entrepreneur Jim Kelly was looking for a better way to elect the annual slate of officers for his golf & country club. He enlisted the help of his son, Mike, an IT professional with 25 years experience. Together, they developed an online voting platform so practical and intuitive that other clubs and organizations in the Washington, DC metro area began inquiring about it. Before they knew it, they were in business, and ezVote was born. Since then, Jim and Mike have helped community & trade associations all over the United States to hold faster, more economical elections, conduct smarter research, and institute policy with ease. But it all comes back to family: father and son working together, doing what they enjoy, and sharing their expertise with management professionals. Apart from the family business, both Jim and Mike actively participate in membership organizations of their own. Jim is an avid golfer and member of his local country club. Mike holds chapter and district level offices in the world's largest men's choral music organization. Their other hobbies and interests include hockey, travel, videography, and -- of course, computing.